Arundhati Roy’s second novel takes readers on an intimate journey across the Indian subcontinent – from the cramped neighbourhoods of Old Delhi and the glittering malls of the burgeoning new metropolis, to the snowy mountains and valleys of Kashmir. Braiding richly complex lives together, this ravishing and deeply humane novel reinvents what a novel can do and can be. Our reviewer calls it, ‘one of those rare, wonderful books that truly feels like real life’. Wayne Macauley is one of Australia’s most interesting and inventive authors. His latest novel, Some Tests, is the strange, slippery and blackly funny story of Beth, who wakes up one day feeling vaguely off-colour. She goes to see a doctor, who refers her to a specialist, who refers her to another specialist, and another, and another. Our reviewer promises that you will never see a waiting room the same way after reading this book. On the occasion of Anita Desai’s 80th birthday, The Complete Stories gathers together a wide-ranging collection of her short fiction along with a brand-new preface from the author herself. In her beautifully crafted prose, Desai depicts human behaviour with an unflinching eye, capturing our ordinariness and our strangeness with quiet precision. 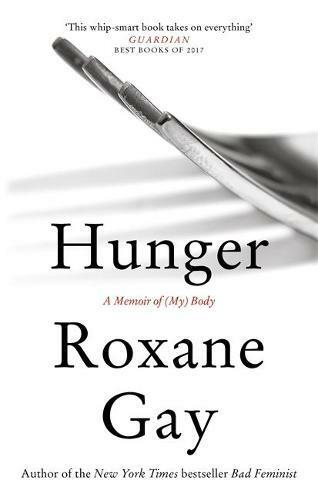 Roxanne Gay’s long-awaited memoir has arrived in-store and it’s the book everyone is talking about right now. Gay writes with incredible intimacy, vulnerability and power as she explores her complicated history with food and her body. Hunger also looks head-on at a devastating act of violence that triggered a turning point in Gay’s young life. The Courage to be Disliked is already a massive bestseller in Asia, and has just now been released in English. Using the theories of Alfred Adler, this book follows an illuminating conversation between a philosopher and a young man in which the teacher explains how someone is able to determine their own life, free of the shackles of past experiences, doubts and the expectations of others. Eliza Henry-Jones is a staff favourite here at Readings – her first novel, In The Quiet, was shortlisted for the Readings Prize for New Australian Fiction in 2015. Ache is her second novel and it’s the story about how a family, and a rural community recover from a terrible bushfire. You can read a fascinating piece by Henry-Jones about the importance of having bushfire stories in Australian literature here. Written with his characteristic black humour, Hanif Kureishi’s novella is a dazzling short read. Filmmaker Waldo is confined by old age and ill health to his London apartment where he is cared for by his lovely younger wife, Zee. When he suspects that Zee is beginning an affair, the frustrated Waldo becomes determined to expose the couple – and to get his revenge.